Present state: Demolished - entrance and inclined path alongside road bridge survives; it is used by track maintenance personnel. The gate itself is a modern replacement. at Jordanston between Fishguard & Goodwick and Letterston Junction, opened on 1 October 1923. The halt was on an embankment close to the top of a 1 in 100 gradient sloping down towards Letterston Junction. At one time trains stopped only by request and during daylight hours as the halt did not have any lights. The halt was served by trains on two routes although initially it was not served by North Pembrokeshire branch trains. In July 1929, on the older route between Clynderwen and Fishguard & Goodwick via Rosebush there were two trains a day towards Clynderwen, and three towards Fishguard and Goodwick (one of which continued to Fishguard Harbour); all of these called at Jordanston Halt. 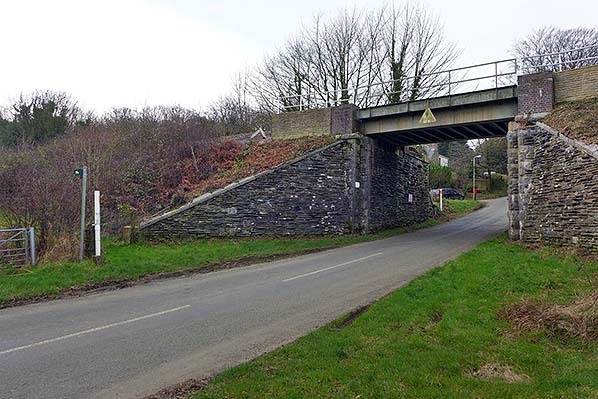 In July 1949, on the newer line via Clarbeston Road, there were seven trains towards Fishguard Harbour, and eight to Clarbeston Road; the first train of the day in each direction ran to or from Neyland. On Sunday there was one train to Fishguard Harbour and one to Clarbeston Road. Facilities consisted of an area of cleared ground with a sleeper edging and cinder infill; passengers boarded using portable steps. When auto-coaches were used on the line they had retractable steps. 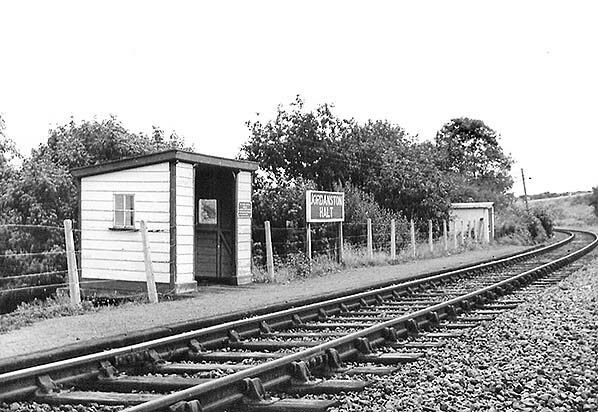 Initially the halt was not provided with shelters but open-fronted wooden shelters were added later. Two platforms were in use until the line was singled on 9 March 1958 after which the former down platform was taken out of use. 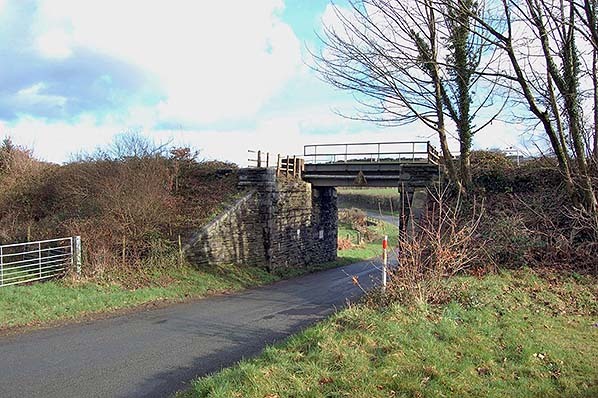 Although the Pembrokeshire railway network would not lose any routes in the Reshaping of British Railways (‘Beeching Report’) of March 1963 a number of stations were earmarked for closure, including Jordanston Halt and all other intermediate stations and halts between Carmarthen and Fishguard Harbour (apart from Whitland). On 31 July 1963 the intention to close these stations and halts was formally published and on 12 February 1964 Ernest Marples, Minister of Transport, gave his consent to the closure of certain intermediate stopping places, including Jordanston. 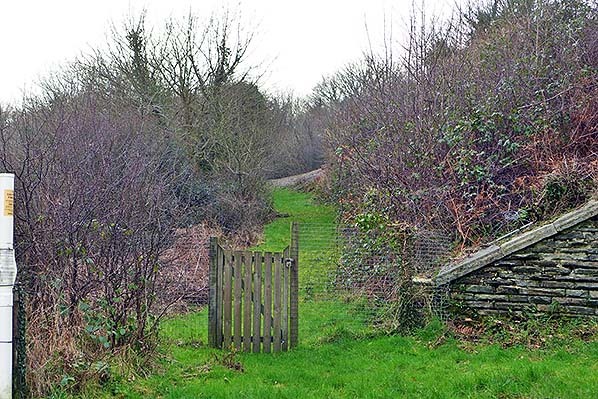 The halt was closed on 6 April 1964 by British Railways, when local trains between Fishguard Harbour and Clarbeston Road were withdrawn. Class 5700 0-6-0PT No.9602 pauses at Jordanston Halt (looking north). One imagines a passenger has left the train to take the photograph before boarding again; railway staff in rural areas could be quite obliging in this way. 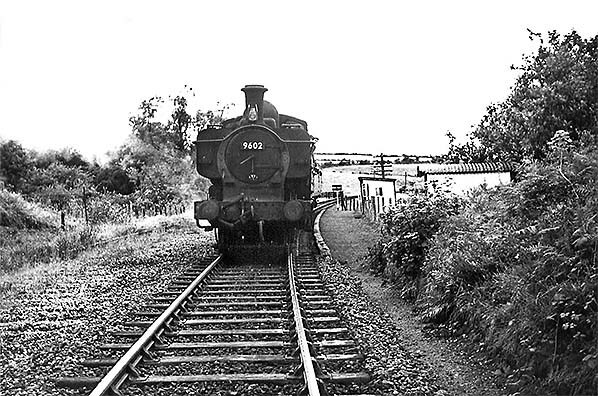 Jordanston Halt had two platforms but in 1958 the double track north of Letterston Junction was singled. The sleeper edging of the up platform can be made out on the left. This appears to be the same train as photographed at Fishguard & Goodwick on a dismal day in September 1963; the telltale sign is that No.9602's smokebox door handles are in exactly the same position. Jordanston Halt was an example of the low-platform halts at which the retractable steps of the auto-coaches would be used. 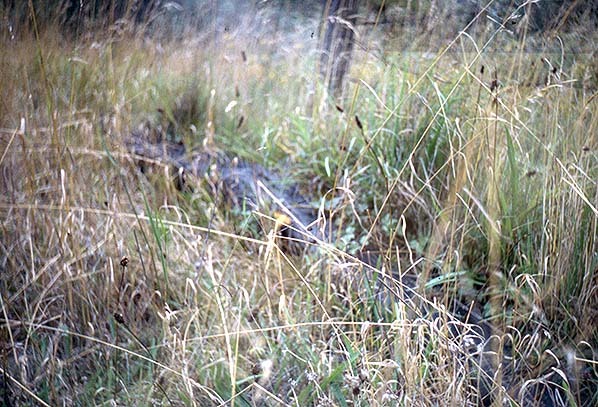 The track appears to be well maintained and the water lying on the sleepers suggests that the creosote is doing what was intended. 1953 1:10560 OS map, the halt is 50yd south of the road crossing. 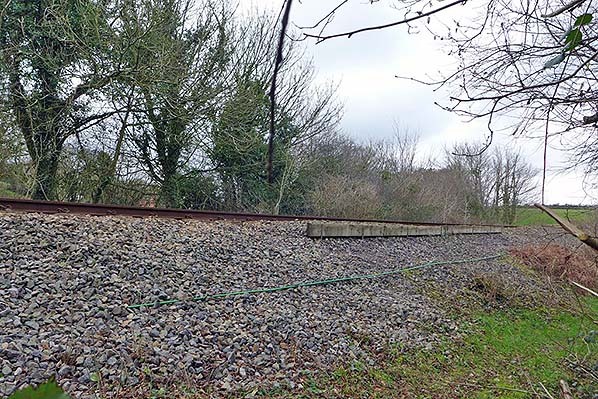 The embankment to the east of the halt is part of the unfinished works for the New Line, authorized in 1903 to avoid the severe gradients on the existing line to Fishguard, with construction beginning sometime around 1906. The New Line would then have joined the existing one between Letterston Junction and Jordanston Halt. Jordanston Halt looking south-east c1964. The halt only ever had very basic facilities and no lighting. The low, almost ground level, platform was typical of halts built with railmotor or autotrain services in mind. Such trains were often fitted with retractable steps for boarding and alighting but when they were not, portable wooden steps were kept at the halts concerned. GWR autotrains serving Jordanston had retractable steps but the line also saw GWR diesel railcars but the arrangements for these, if indeed they called at Jordanston, are unclear. In September 1967 the sleeper edging of the down platform could still be seen. This platform had been out of use since 1958 when the line was singled. 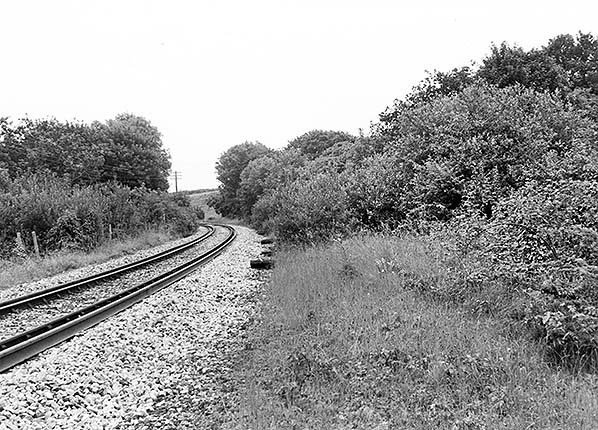 The site of Jordanston Halt looking south-east in April 1974. The lifted down line is on the right. Looking north-west towards the site of Jordanston Halt in December 2016. The up platform, which remained open until 1964, was on this side of the track. The inclined path up the side of the embankment to the up platform in December 2016. The gate is unlikely to be original. Access to the track is maintained for use by track-maintenance personnel. The west side of Jordanston Hill bridge looking north-east in December 2016. When the line was singled the original double-track deck was replaced with one accommodating a single track. Jordanston Hill bridge looking south-west. The path to the halt is to the right of the bridleway sign.